Nikita and Matthew's gorgeous 3-day wedding took place over in Durham, North Carolina this past year! Their stunning event fused two cultures to bring about a gorgeous and heartwarming wedding for the couple and their wedding guests! Happy Monday, Maharanis! Just because summer is almost over, doesn't mean things need to cool down, right? At least not when it comes to South Asian wedding inspiration! With industry experts like Electric Karma International working their magic all year round, you can always count on brilliant and bright wedding details to inspire you! Just check out this Indian fusion wedding event they planned and designed for today's bride, Nikita, in Durham, North Carolina. From the unforgettable pre-wedding ceremonies to the elegant and exquisite reception, you'll be blown away all day as we unveil every last incredible bit of it. F8 Photo Studios captured all the most amazing highlights, including the fabulous floral and decor work by the talented team at Mandap Creations, so make sure to stick with us today to see it all unfold. For now, check out some of the happy couple's pre-wedding festivities, then head into the gallery for a quick peek at what's still to come! Meet you back here in a bit, gals! Centuries of history have created India as the country we know it to be today- brimming with diversity, tradition, culture, and a rich history. At Electric Karma, we believe that exposure to a variety of values and traditions are beneficial to our work. Our philosophy is essentially to interact with and absorb various cultures to further enhance our team, which helps us strive for new heights for each and every client. I credit much of my original and unique ideas to the locations around the world that I have traveled and planned weddings. Gaining insight into new areas, people, and society has given me the understanding to learn about what is important to clients, in the framework of their everyday surroundings. As a leading authority of Indian weddings in the country, our team has had opportunities to travel across the world to design breathtaking weddings on behalf of our Electric Karma couples. We are able to bring new ideas to the table, as well as the experience to perfectly execute events due to our experience in destination weddings over the past 30 years. 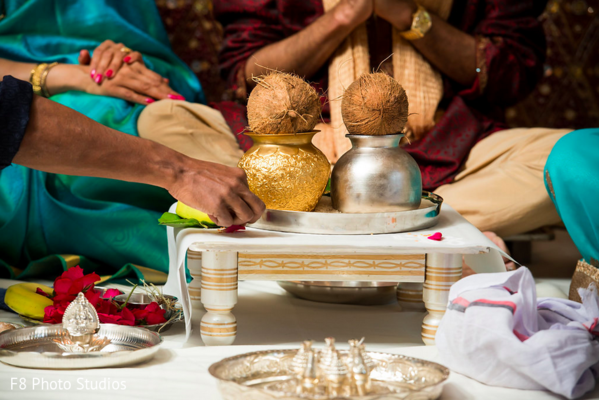 Indian weddings have many intricate details in rituals and traditions. By staying in one city, we risk facing limitations in our creative ability to bring forward fresh and fun ideas. That is why we make it a priority to display imaginative designs on location at destination weddings. While absorbing culture and gaining experiences is imperative, it is just as necessary to network at industry conventions, conferences, and award shows! When we travel for weddings, we meet with and work alongside wonderful destination wedding vendors who bring a new and innovative approach to each event. When I attend conferences later on in the year, I will be networking with the same vendors from various cities and learning about their recent work and ideas. This will be fulfilling and beneficial for all of us to continue our growth trajectory as wedding industry professionals. An awareness of the importance of culture is gained through absorbing new people, traditions, and locations. Travel has been an integral piece of myself, as well as Electric Karma International, and we hope to carry forward our tradition of bringing a splash of culture into your life! 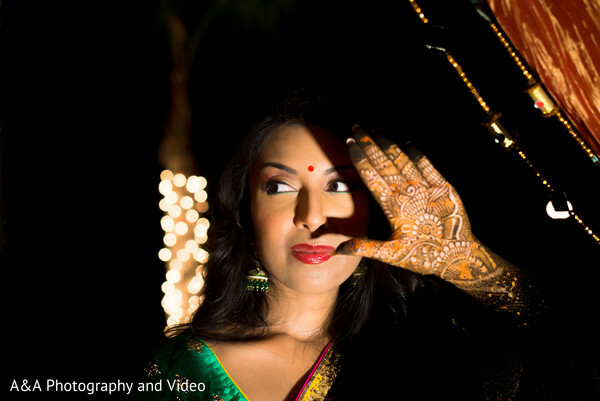 Shalini and Amar were recently wed at the Marriott St. Petersburg in Tampa, Florida in classic Bollywood style! The striking event carried on for many days, buoyed by the excitement of a lavish and beautiful wedding while still managing to maintain the simplicity of a traditional Indian wedding – true to the Gujarati culture. The wedding began with an entertaining casino night themed Sangeet infused with a traditional Indian Garba. Décor by Nikun Events Company stunned the guests with gorgeous décor pieces to make each and every guest feel as if they walked straight into Vegas! The main wedding events continued with a traditional Gujarati ceremony and a sensational reception, creating a stunning ambiance and the perfect fusion of Indian and American cultures, for the guests and the happy couple to enjoy! 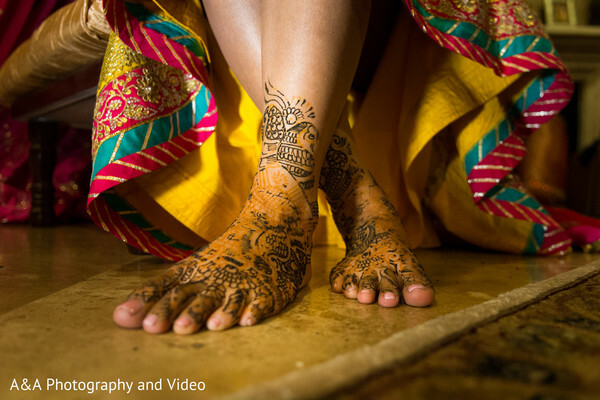 Special thank you of Riant Films for creating Shalini and Amar’s enchanting wedding video! Join us in Texas this November! Love India? Love Weddings? Then you're in the right place! Join the Electric Karma team in Houston, Texas for the South Asian Shaadi Summit this November 8-11 at the Sugar Land Marriott Town Square to enjoy the ultimate Indian wedding! With exciting activities such as dance classes, couture fashion shows, and food tastings of the country's most tantalizing dishes from various regions of India, you will be have the chance to attend the event of a lifetime. The three-day conference will take you through a whirlwind of Indian culture, while teaching you exactly what it means to take part of an Indian wedding with designed with flawless execution. Meet us in Texas and immerse yourself in an exhilarating weekend of culture, hospitality, and India. Click HERE to register and sign-up for the South Asian Shaadi Summit today! We are wishing these Electric Karma couples a very HAPPY Anniversary! Intimate and charming. Dramatic and unforgettable. La Valencia Hotel has been a destination to remember since its opening in 1926 in La Jolla. Luxuriate in 114 guest rooms of four types: Vintage, Classic, Villas & Icon. Dine in one of La Valencia's two distinctive restaurants. Relax by the outdoor pool with the Pacific Ocean as a backdrop. Experience all La Jolla has to offer from shopping, world-class museums and fine dining, or simply relax in a beautiful sea-side retreat. Experience Electric Karma through our Wedding Services Brochureand learn all about the creative coordination and services Electric Karma can provide to make your wedding day everything you imagined and more! Dive into our interactive brochure, complete with videos, photo animations and more! 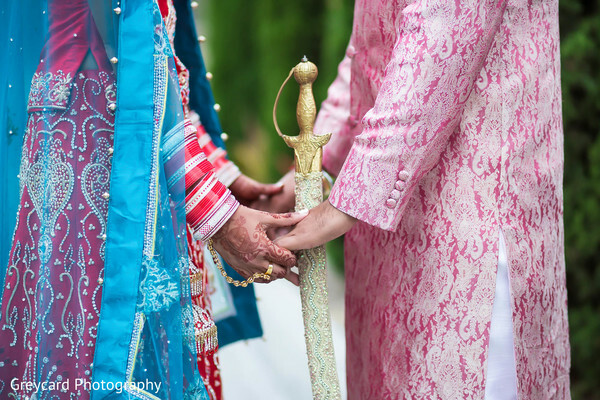 You can also view and purchase "Shaadi: A Journey into Desi Weddings," a book by Therese Cole-Hubbs showcasing 30 magnificent Electric Karma weddings! The book will take you on a journey through time with honored rituals and exciting new design ideas via Electric Karma's most magnificent weddings and events. Copyright © 2015 Electric Karma International, All rights reserved. Nisha and Mehtab's gorgeous multiple-day wedding was filled with love, warmth, and 350 of their closest family and friends! 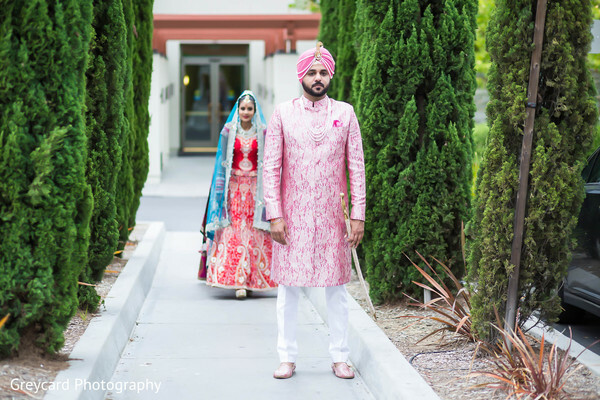 Celebrating their marriage with a traditional Sikh Wedding this sweet couple fused both of their cultures for a breathtaking Art Deco/Old Hollywood Glam inspired reception! See the full feature on Maharani Weddings here. Hi, dolls! Guess what. You're Wednesday is about to get a lot more wondrous because we're bringing you a phenomenal Sikh wedding celebration in Southern California, planned and designed by the ever so delightful and talented Therese Cole-Hubbs of Electric Karma International! Greycard Photography has captured all the most memorable wedding day highlights that are sure to inspire you shaadi-lovin' hearts, and we're starting the day off with a look at today's Indian bride, Nisha, as she gets ready for her walk down the aisle with the help of a few of her closest confidants and hair and makeup expert Dolled up by Lulu! Our dazzling Maharani has selected a vibrant, red wedding lengha and a fabulous sky blue dupatta. Her bridal jewelry is to-die-for, and so are these first lookmoments as she reveals her bridal style to the Raja of her dreams, Mehtab — who by the way is uber handsome in his pink ensemble. We looove a man who isn't afraid to wear pink! Before these two tie the knot, you have to head into the complete gallery for an exclusive look at the pre-wedding celebrating that went down at the Royal Vista Golf Club, which features the most incredibleportraits, plus details of the breathtaking mehndi work by Hinal's Beauty Studio! I'll be right back with details from the main event, so sit tight! 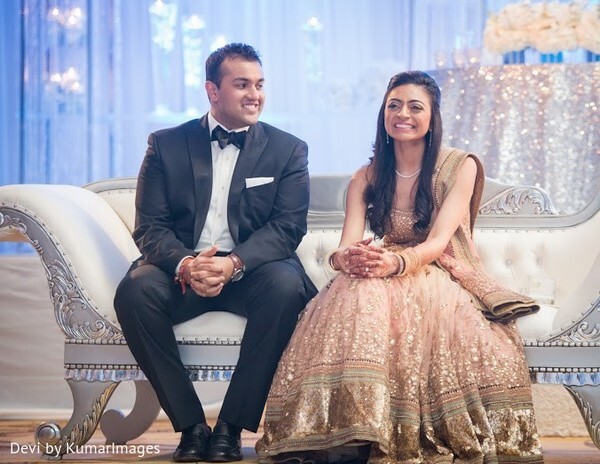 Tarina and Viresh Featured on Maharani Weddings! 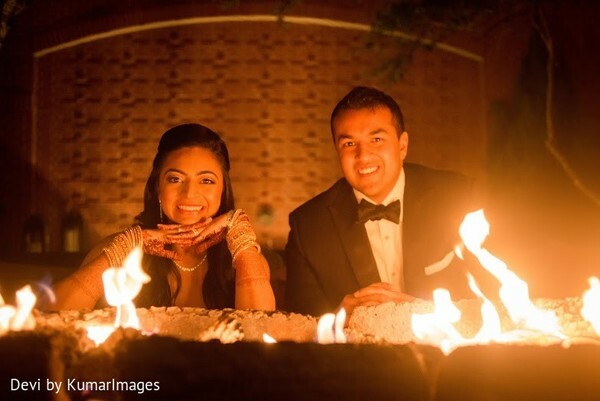 On May 9, Tarina and Viresh were married in an incredible 3-day wedding at the Woodlands Marriot Waterway in Texas! The couple celebrated with their close family and friends. The wedding events initiated with an ethnic and folk-themed Sangeet. The bewildering events continued with a heart-warming ceremony as the bride was carried in by her brother and cousin brothers. The events completed with an exquisite reception designed with an astonishing floor plan: a wintery themed 50-foot crystal encased draped stage. DJ Chani, of Desi Junction DJs featuring DJ Prince, kept the guests off the lounge-style seating and on the dance floor! 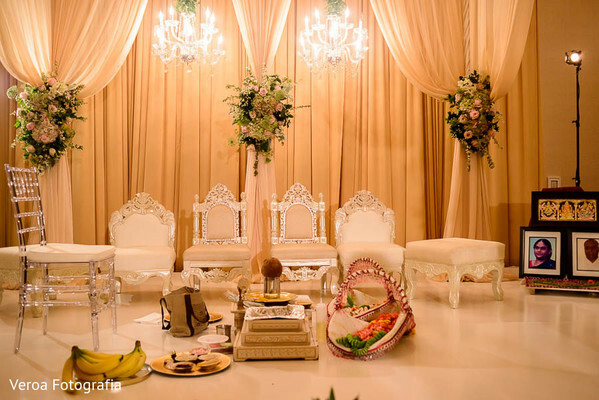 Click here to see the full feature on Maharani Weddings! 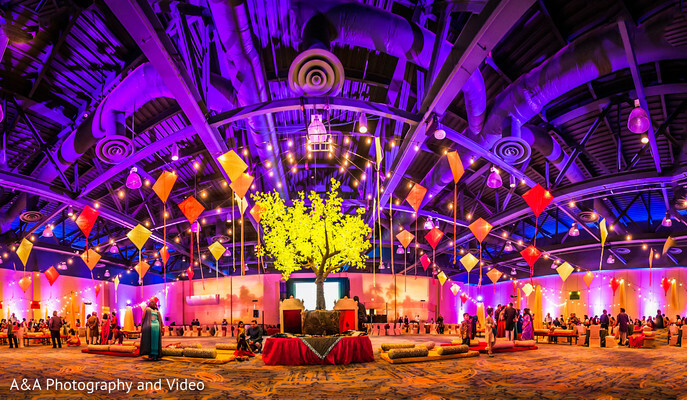 Electric Karma International shares with us an awe-inspiring three-day Indian wedding event coming to us from Houston, Texas! First up is the marvelous mehndi party in which our Maharani is donning a colorful sari that looks amazing on her golden-tan skin tone! Then it's off to The Woodlands Waterway Marriott Hotel & Convention Center for the exciting folk-themedsangeet celebration! Prashe Decor infuses the vast space with rows and rows of vibrant kites hung up on luminous string lights! A&A Photography and Video catches up with our darling lovebirds posing in their fabulous pre-wedding fashions! All done up by Fashion Face, Tarina looks gorgeous in shimmering eye shadows, a bright peach lip, along with a bejewelled braid to go with herSabyasachi lengha! Her groom-to-be is looking dynamic in an intricately-patterned dark purplesherwani! They make a delightful pair! Don't you dare move a muscle because there's more to come, but for now, browse the gallery to witness more pre-wedding fun! "I met Viresh, the love of my life, through a common family friend. His parents had just moved back from Azerbaijan after 7 years and had moved into our neighborhood in Houston. His mom was out grocery shopping when she ran into an old friend who happened to be one of my parent's good friends as well. They were talking and realized we were neighbors so she gave my mom's contact information to her. Both of our moms then began talking and became friends and introduced me and Viresh to each other. Viresh and I clicked instantly and came to know we had a lot of friends in common. We went out on three dates during Thanksgiving week at home in Houston and became close very fast. I went to visit him in New Orleans over Christmas week and that's when I knew he was the one. He told me he loved me during New Year's Eve and we have been on cloud 9 ever since!" "Viresh had planned on proposing during Thanksgiving the following year and since he had the ring custom made, it was going to take 2 months to be complete- so he had everything planned well in advance. However over Diwali, most of his family came in from out of town and they asked him if they could perform a pooja, sort of roka though he had not officially proposed yet. He said yes not knowing what he agreed to. I was not told any of this however and was told to change my clothes for a last minute pooja before heading over to his house to meet his extended family. When we got there, Viresh and I were being congratulated and I was so confused! We were pretty much engaged by then and so his actual proposal about a month later was not much of a surprise though the way he did it was. He had all my friends make short videos of memories of me or advice for us and took me and my parents into our theater room upstairs to watch it. He left to "go to the bathroom" and changed, had all my friends and his family stand downstairs holding candles and when the video was finished, he had flower petals that led me down to where everyone was standing- about 20 people. And he proposed to me in front of everyone- I couldn't say no of course!" "I definitely had a style in mind for my hair and I gave my artist pictures of what I was looking for as far as my look for each event. For makeup, I had a general idea however did work with my artist to find the perfect look for each outfit. I wanted a more ethnic, traditional look for the garba sangeet because we were doing a village theme (6 villages which are where mine and Viresh's parents are from in India) and so I chose a traditional looking lengha made by Sabyasachi and bought a ready made long hair braid in India. My makeup artist and her team did an amazing job at creating the exact look I wanted! I had extensions put in a few weeks before the wedding as well to create more healthy, voluminous look." "The lengha I wore for my Sangeet, I had known for almost a year before that that was what I wanted. It was made by Sabyasachi and I contacted the Sabyasachi store via email as soon as wedding planning began. They told me the approximate cost and how long it would take to make and other logistics. I set up an appointment and they had a trial version ready for me when I went to their store in Calcutta. I had some color changes made to fit my skin tone and they actually called Sabyasachi up on the phone right then to get his recommendations on the color changes. After that, it was going to take 2 months for the lengha to be made- however of all the designers, he was the most professional and with the best fitting and the lengha was actually completed ahead of schedule! My wedding lengha I chose based off the colors I wanted. I was looking for a hot pink and red combination and so I spent hours on the internet looking for a design and the exact colors that I wanted. I found this with Tarun Tahiliani and again, I set up an appointment with their store and tailor in Mumbai. I was actually able to complete 2 fittings with them because they were able to make the tailor adjustments to my outfit within 2 days while I was still there in Mumbai and I got to bring the outfit back home with me! My reception lengha I had designed myself and knew the color scheme I wanted, however I was unable to find exactly what I wanted after spending hours on the internet. So I contacted Manish Malhotra, however after many weeks of communicating back and forth, their design team was unable to make the lengha the way I wanted it. So I took a chance and decided to find something once I actually got to India. While we were in Ahmedabad, we went to the Shyamal and Bhumika store and made an appointment to meet with Bhumika about Viresh's wedding outfit. I decided to ask her there in person if she was able to make the lengha the way I wanted it. She worked with me personally to make the lengha exactly the way I wanted it and I couldn't have been happier!" The ceremony and reception shots are up next! 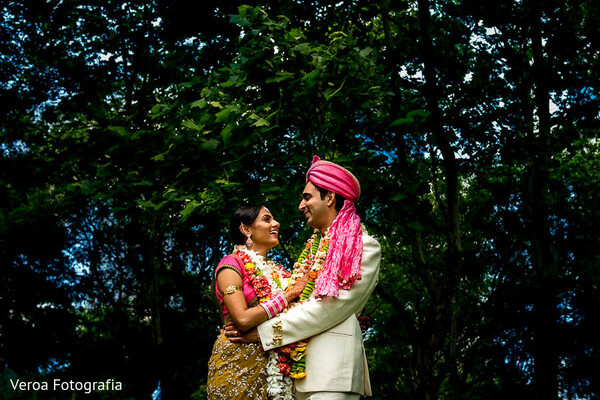 Ruchi and Samip Featured on Maharani Weddings! Ruchi and Samip's breathaking winter wonderland wedding event has recently been featured on Maharani Weddings! This spectacular Gujarati wedding added beautiful mixes of tradition and contemporary design perfectly showcasing the couple's personality through their shaadi extravaganza! 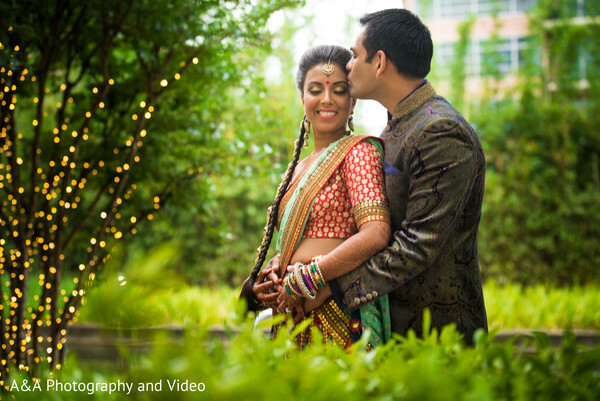 Newly married and ready to have fun, Ruchi and Samip celebrate with family and friends at their swanky reception inside the Sugar Land Marriott Town Square in Texas! 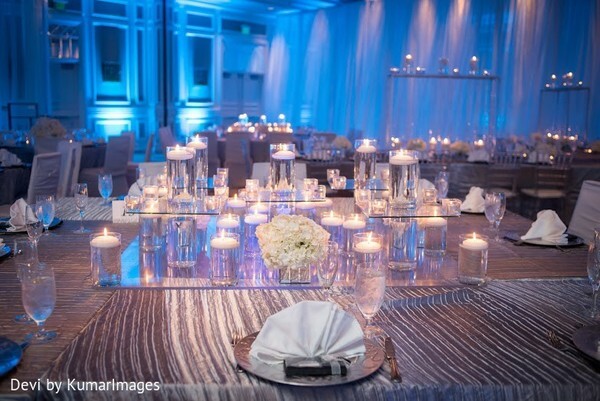 Going with the Winter Wonderland theme, Decor One infuses the cool space with silver glittering fabric, warming things up a bit with luminous glass candles. Karmadjs lights up the room in a fresh blue while mixing up the hottest beats for the crowd to bogey down to! In the midst of all the splendor, Devi by KumarImages catches up with our spotlight couple on the dance floor. Maharani Ruchi is a striking vision in her champagne-colored lengha by Sabyasachi as she cuts a rug with Samip who looks sharp in his fitted suit! It's clear to see on their bright, shiny faces that their wedding vision came true, thanks to Electric Karma International! 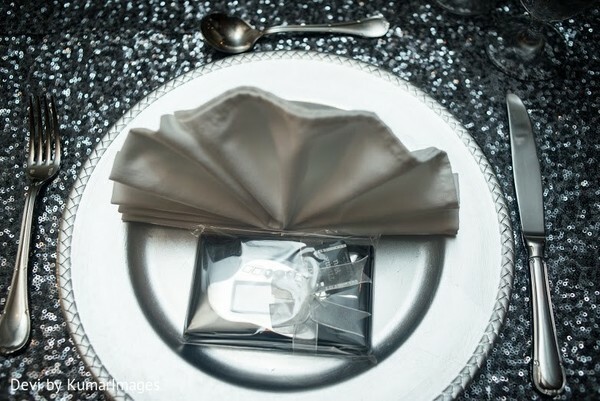 See every detail of this fine affair, including th the sangeet, in the gallery! "Our first dance was to Ho Hey, by the Lumineers, we chose it because it was a little upbeat and had some New York City references in there. If you can't tell yet, NYC will always hold a special place in our hearts." "Here are some fun details that we spent a lot of time bringing together: Jewelry- I am very minimalistic when it comes to jewelry but of course since it was my wedding, I knew I would have to wear some. The set I wore on my mehdnhi event with the blue lengha was one my that my nani (grandma) had made for me, it was Harry Winston inspired snowflake set that went perfectly with the season and the light blue of my lengha. The necklace, earrings and tikka I wore with my wedding lengha were all Anita Dongre, the necklace my mom and aunt picked out without me since I never wear big jewelry. My mom loves statement jewelry and even though i thought it might be too much, it brought my entire look together very well. The earrings, necklace and bracelet I wore during my reception were all gifts from Samip's parents, they were so stunning and definitely pieces that I can wear over and over with all types of clothes. Sangeet Food: Samip and I love to travel and have places around the world that house so many special memories to us and our families. We wanted to somehow incorporate this into our wedding and did that at the Sangeet. We had to transport our guests from the hotel to the venue and created boarding passes that we put into the welcome baskets so we could let guests know they were going to have a taste around the world. We created different stalls with food we love from around the world. It was so much fun doing the tasting and planning for this. Cake: We personally didn't care about having a big cake but I am a huge fan of cupcakes, especially mini ones. Lucky for us, Houston has a plethora of amazing vendors. My wedding planner introduced me to Deelish Cupcakes, they were delicious and we decided to create a cupcake tower with a mix of Indian and American flavors, hot chocolate shooters, snowball cookies and a snowflake cake topper to go along with our Winter Wonderland theme." Have a great rest of your day, gals! Aishwarya and Rajan Featured on Maharani Weddings! 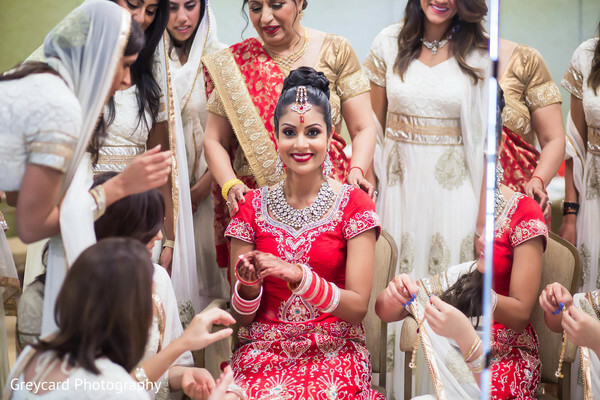 This special Houston, Texas wedding of Aishwarya and Rajan has been featured on Maharani Weddings! Photography by Veroa Fotografia captured stunning images of the bride and groom during their spectacualr multiple-day wedding event! We are loving this gorgeous wedding! 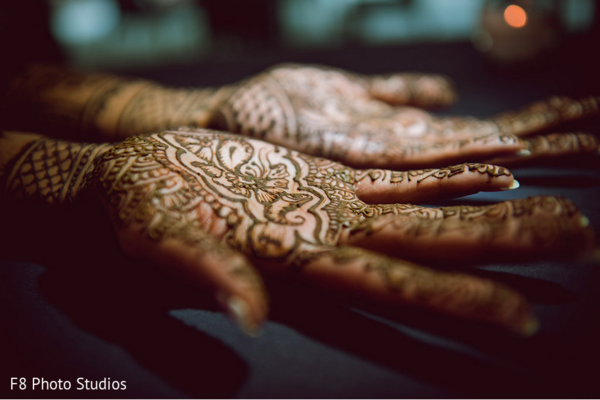 Click here to see the full feature on Maharani Weddings! Electric Karma International has done it again, and they're sharing the fruits of their fabulous labor with us! 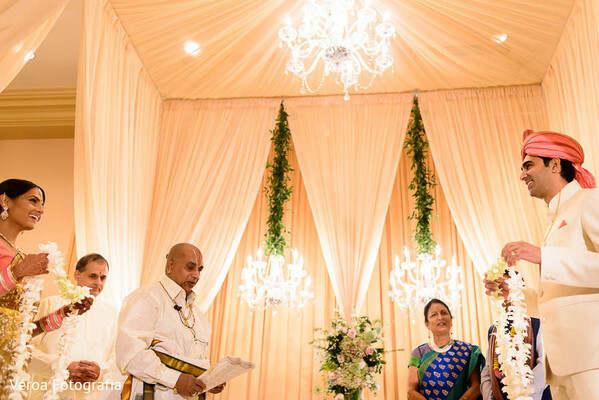 They planned and designed this stunning Indian wedding in Houston, Texas, for Maharani Aishwarya and Raja Rajan, and you'll fall in love with their amazing affair just as we have. Let's start off with a look at a couple of the bride's precious moments as she put the finishing touches on herhair and makeup and got ready for her big day. 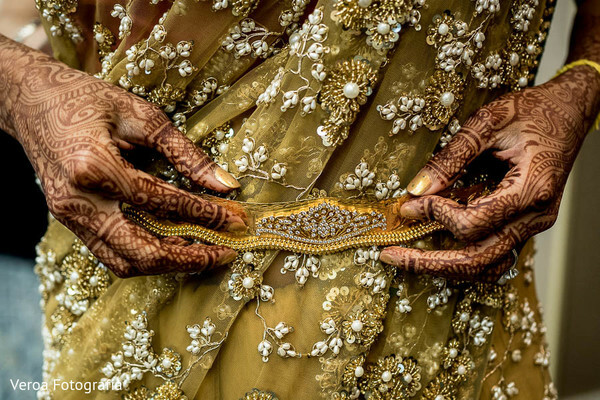 Veroa Fotografia captured these images, and we are loving the close-up, detailed shots of her beautifully beaded gold bridal sari by Sabyasachi. 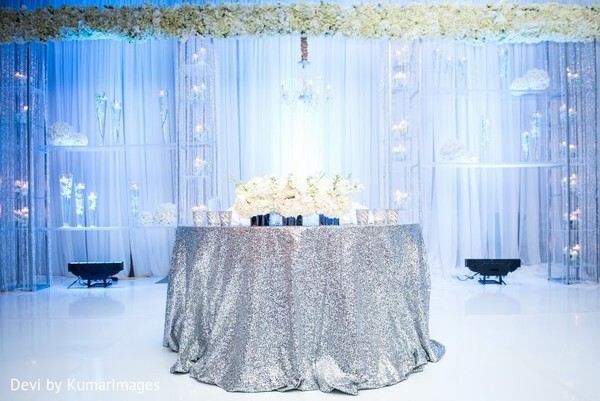 Mandap Creations has put together the most gorgeous floral and decor at the Hilton Houston Post Oak for her and her hubby-to-be's ceremony, helping to create a luxurious and unforgettably divine setting for their I dos. Now that this adorable duo have tied the knot, it's time to head to the reception, where Karmadjs is warming things up for the celebration of a lifetime. Before we get into all those funtabulous details, make sure you check out more from the morning of and extra highlights from the ceremony in the complete gallery. "We met on HowAboutWe, a dating startup in New York City that both of us had decided to try. We spent the summer of 2013 cooking, trying restaurants, and exploring NYC, and I knew he was the one when we could spend hours together and I could still never get sick of him." "Rajan took me to Central Park on Sunday afternoon during the summer of 2014, and all of my friends were hiding in the bushes when he got down on one knee on a blanket covered with rose petals and cupcakes. I was blown away!" "I was inspired by Midsummer Night's Dream, blush, champagne, lace, pearls and really wanted whimsical, fairy-tale like elements throughout both the wedding and reception. The wedding focused on blush and champagne + chandeliers, and the reception had lanterns, antique books, lots of candlework and crystal." "My wedding saree was Sabyasachi; I wanted to wear a saree because that's what women wear in Tamil Nadu to get married, but I wanted to add a modern twist, so the beading + net features of the Sabya saree did just that." "I worked with the amazing Shilpa of Makeup By Shilpa - I knew I wanted "dewy" sparkly looks, and she was absolutely wonderful. 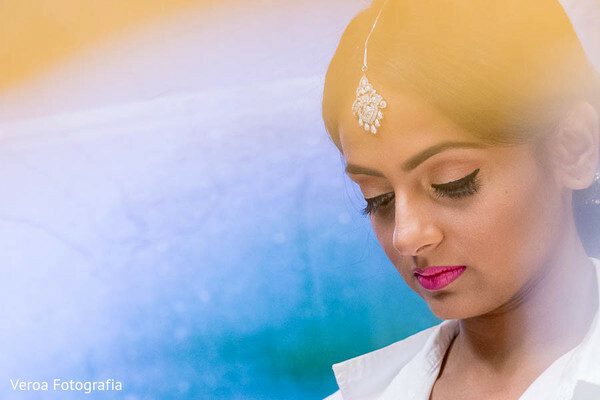 For the actual wedding, I really wanted a long braid, to highlight my southIndian roots." We'll be back in a flash, so don't move a muscle! Introducing "South Asian Shaadi Summit"
Last month, I attended the National Association for Catering and Events (NACE) Conference. With luggage in one hand and presentation in the other, I arrived in dry, sunny Arizona ready to speak at NACE once again this year. I always enjoy conferences for not only the information that is shared and disseminated by other professionals in the industry, but also the unique opportunity to interact with people who can relate to each other on a professional level. Networking with event professionals, learning about new and exciting industry tips, and generating new innovative ideas collaboratively is highly important for both the wedding industry and also career paths for wedding planners. I personally vouch that conferences have played a prominent part in my own journey into turning my interest in wedding management into a vocation. Whether I’m attending and speaking at conferences or sitting on an association that hosts national convocations, I have come to find that each conference has taught me at least one thing about planning weddings. It’s why I keep going back. It so happens that Indian culture has recently had something of a renaissance in the United States in recent years. 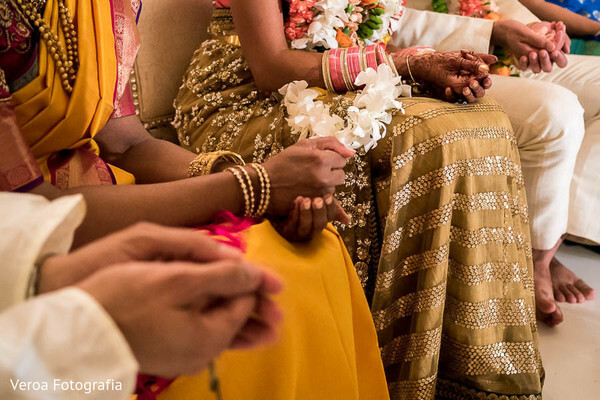 When I put together my first Indian wedding 30 years ago, I found that the tight-knit Indian communities, while thriving culturally in this country, were comprised of a tiny fraction of the current number of Indians. Presently, Indians are one of the fastest growing ethnic groups and make up the third largest Asian population in America. 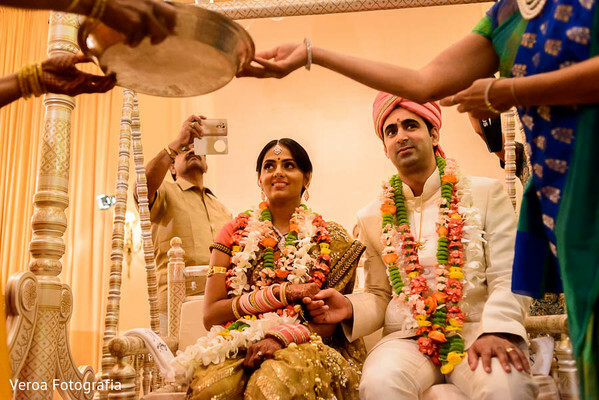 In part this is because Indian support networks and community events -- including lavish and colorful weddings – have created a home for Indians in many states. With the large influx of Indians, we also find far more first and second-generation Indian kids marrying and residing in America. Thankfully, culturally robust Indian communities pass on their values to their children, creating an intriguing niche for us to cater to the descendants of Indian immigrants who want to continue the traditions of their elders. Electric Karma International currently stands as the leading institution in Indian Weddings and Events in the country. This year, we are excited to announce that we will put together a 2 ½ day conference called the "South Asian Shaadi Summit" (shaadi is the Hindi word for wedding) to teach and interface with other wedding professionals so we can spread our knowledge about how to conduct the ultimate Indian wedding in America. The conference is compiled from the perspective of all of the national conferences Electric Karma has both attended and spoken at. When I address speaking events at conferences such as NACE, I ask the audience to raise their hands if they have planned an Indian wedding-- many industry professionals have. When I ask how many have planned more than ten, I rarely see more than a few hands. Electric Karmahas coordinated and executed almost 700 Indian weddings. With a market that is growing bigger in the events industry, industry professionals ought to be informed and properly educated. 30 years of experience has given us the time and exposure to see every kind of wedding and be well prepared to handle any event, which is why we took this leap to coordinate an Indian educational summit. The conference will take place from November 8-11, 2015 at the Sugar Land Marriott Town Square in Houston, Texas. Anyone that attends the conference will gain the tools to successfully plan a South Asian Wedding and get the insider knowledge of experts in their city. Guests will be welcomed with gift bags that contain a traditional Indian sari, jewelry, and cultural dance instructions among other goods. The event will consist of an intensely detailed education, a fabulous party experience, and exposure to cultural food from different regions of India – in addition to all the networking (bring business cards if you work in the event planning industry!). Electric Karmais extending a $200.00 discount to our WIPA, NACE, and TISOH members. We are proud to have Banyan Tree Chaiand Sugar Land Marriott Town Square as our title sponsors for the conference. I would like to invite all of our friends to come join us for the South Asian Shaadi Summitin November. National conferences such as NACE and WIPA bring us information and connections in our event planning industry. This year we would like to give back to the industry by providing the world of weddings with an essence of Indian masala. The wedding ceremony took place at Diamond Bar Center with a traditional Sikh ceremony.Irises Designs created an amazing nature inspired Mandap with hydrangeas, amaranthus, and curly willow intertwining around the top and pillars of the structure. Moss and bird cages littered the runner for the bride to walk down. Tiscasreno’s provided catering, setting up a delectable display of breakfast item that was set up for the baraat upon arrival, as well as a mouthwatering Italian lunch at the end of the ceremony. The following day, the beaming couple and their families celebrated with a breathtaking Hollywood-style reception at Union Station in Downtown Los Angeles. AOO Events decorated the reception with extraordinary art deco statues and centerpieces made up of calla lilies, hydrangeas, and feathers. An amazing backdrop was also created to highlight an all-white cake from Cakes by Rumy. Family and friends celebrated the night with appetizing catering byTandoor Cuisine of India. DJ Amit and his team at 3D Sounds kept the guests dancing with their magical tone-setting music. We would like to also say thank you to Greycard Photography for the phenomenal photographs! Congratulations to Rajeev from EK Entertainment! This past year, Electric Karma introduced a new branch to its company: EK Entertainment. Performers across the country and many from abroad have played a role in various Electric Karma events. One of our talented EK Entertainment performers, Rajeev Surti, has recently choreographed Bollywood’s latest "item" song starring Bollywood actress, Jacqueline Fernandez. In April, Therese visited Rajeev at his dance rehearsals with Jacqueline in Mumbai. She had the opportunity to sit with the directors and watch the song come to life with Rajeev and his team. Seeing one of our performers reach success at new heights is always a beautiful opportunity to witness for our Electric Karma staff and EK Entertainment team. Congratulations Rajeev! Due to Therese's global travels these past few months, we had the opportunity to have a productive meeting with Tanishq, India's first and largest retail jewelry store, which is owned by TATA (one of India’s leading companies). With over 166 gorgeous boutiques in 90 cities,Tanishq diamonds are very unique in their way as they hold the same exquisite quality, no matter its size or shape, paired with the purest quality of gold. Each piece is made to understand the Indian woman and fuse the perfect amount of Indian traditions and contemporary styles into jewelry pieces.